Most people have never thought of Christmas from God’s perspective. 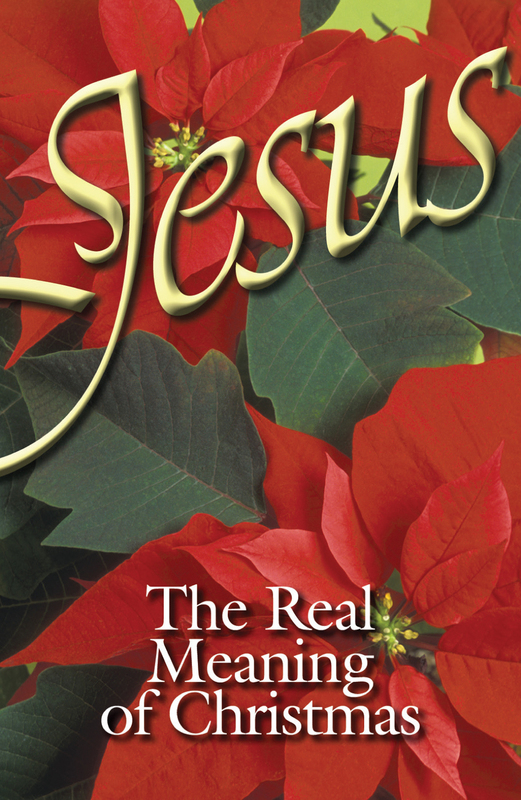 This tract clearly explains—using key Scriptures—how Christ’s birth set in motion God’s plan of salvation. Kids and retailers love it. Parents spend months paying for it! Still, when it’s all said and done—and paid for!—Christmas means family, friends, gifts, and lasting memories. Ever wonder what Christmas means to God? After all, it began as the celebration of His Son’s birth. The Christ Child is more than just a convenient backdrop for holiday festivities. In fact, Jesus Christ came to earth on a mission. His birth set in motion a plan that eventually led Him to die...for all of us. The real meaning is not wrapped up in the Baby in a manger, but in what His birth, life, death, and resurrection accomplished. Put Christ in This Christmas! Dear God, I’m sorry for all I’ve done wrong. I believe that Christ took the punishment for my sins and died and rose again for me. I accept Him as my Savior right now. Thank you for forgiving me and giving me eternal life.